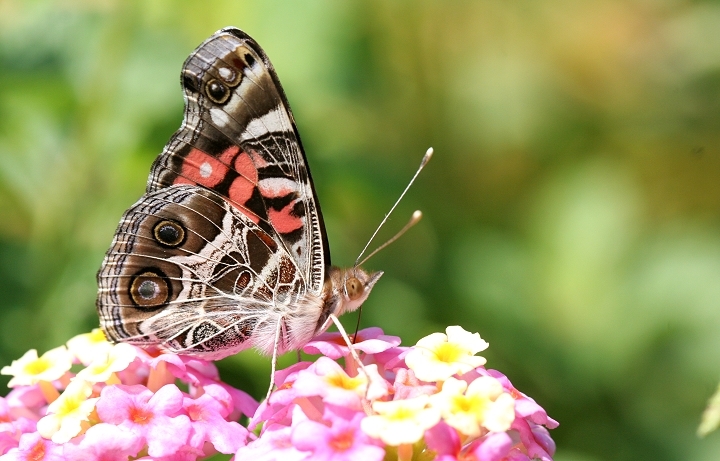 Above and below: American Lady near the Savannah River in Augusta, Georgia (6/4/2006). 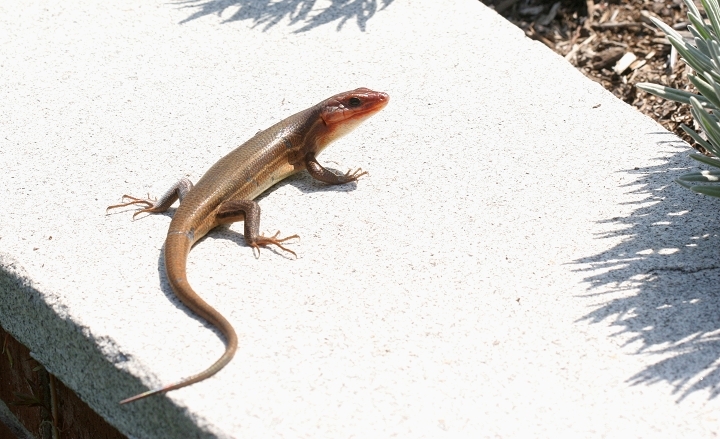 Below: A Broad-headed Skink near the Savannah River in Augusta, Georgia (6/4/2006). 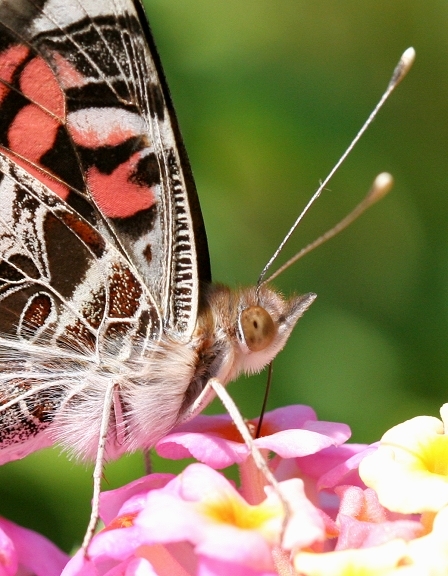 It looks like this guy once ditched his tail and then regrew it. 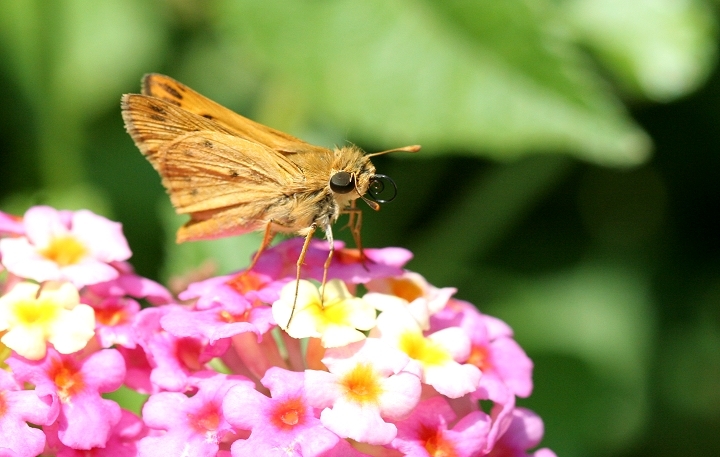 Below: Fiery Skippers were common among ornamental Lantana plantings (6/4/2006). 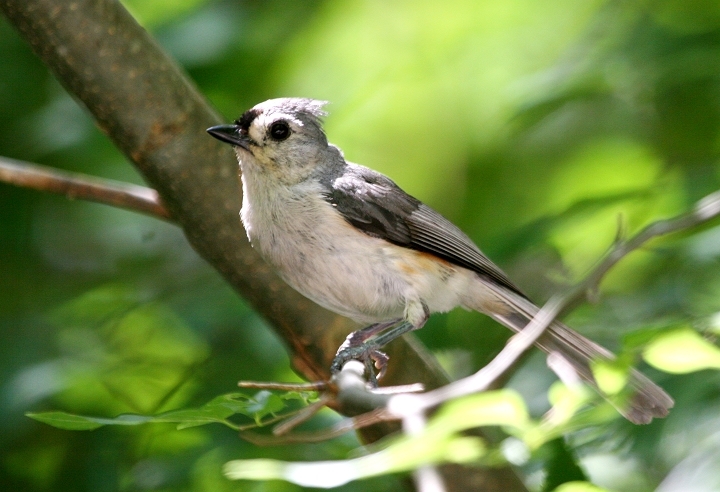 Below: A recently fledged Tufted Titmouse in southeastern South Carolina (6/4/2006). 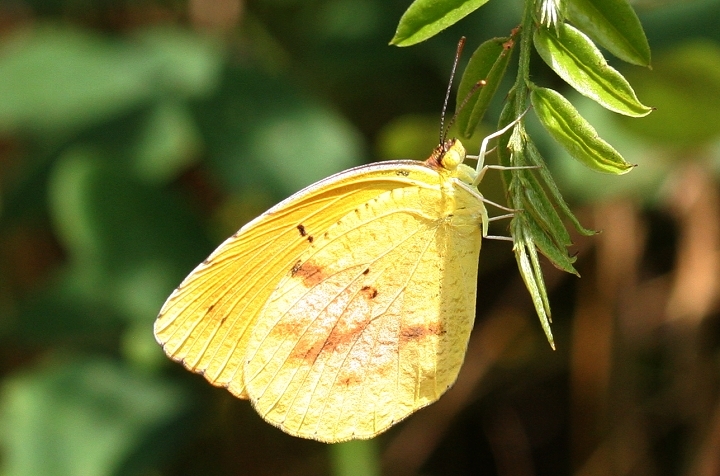 Below: A Sleepy Orange in southeastern South Carolina (6/4/2006). 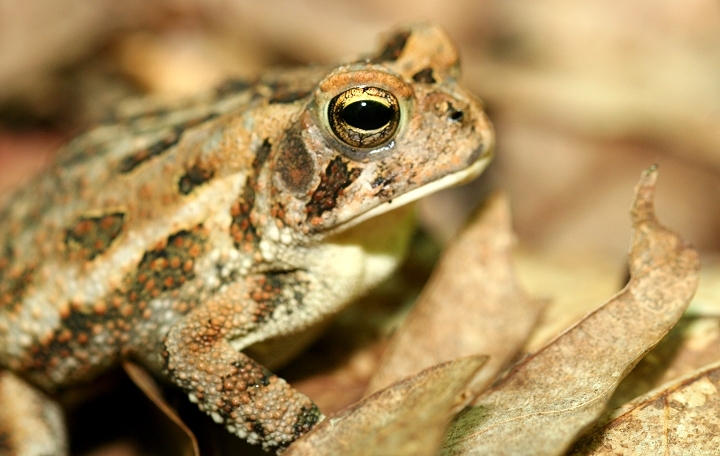 Below: An American Toad poses for a portrait at Steven's Creek Heritage Preserve, South Carolina (6/4/2006). 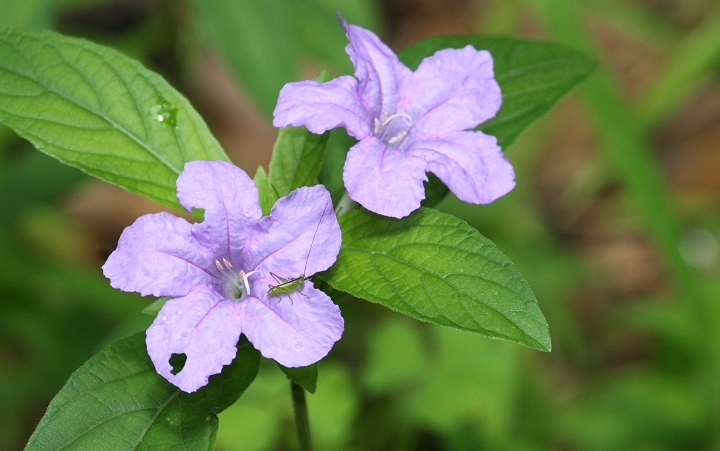 Below: An attractive plant blooming nearby (6/4/2006). 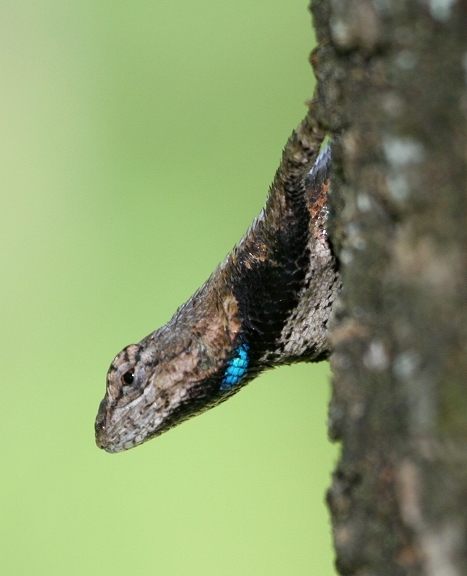 Below: A Southern Fence Lizard shows off its blue throat patch at Steven's Creek (6/4/2006). 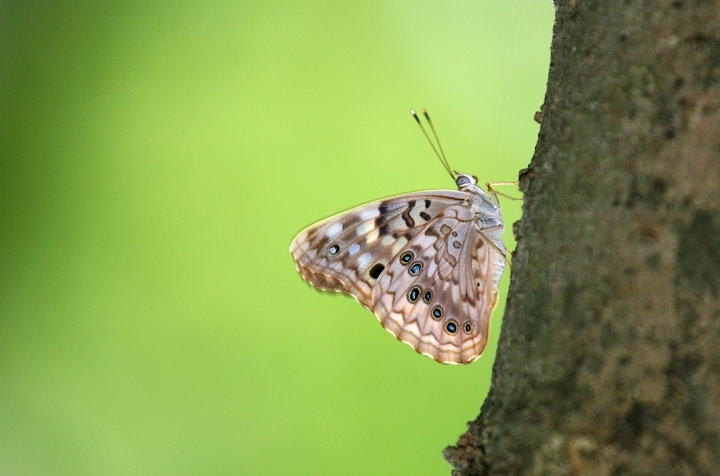 Above: Hackberry Emperor at Phinizy Swamp, Georgia (5/30/2006). 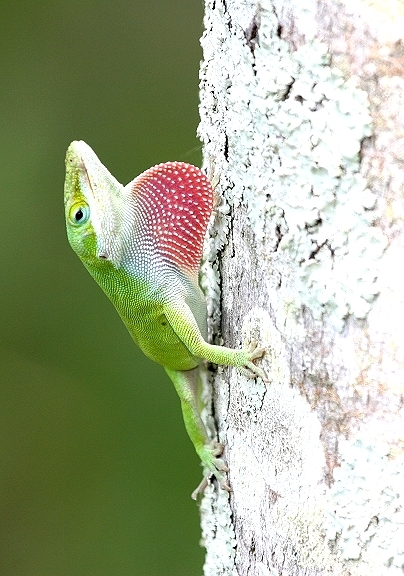 Above: Green Anole displaying at Phinizy Swamp, Georgia (5/30/2006). 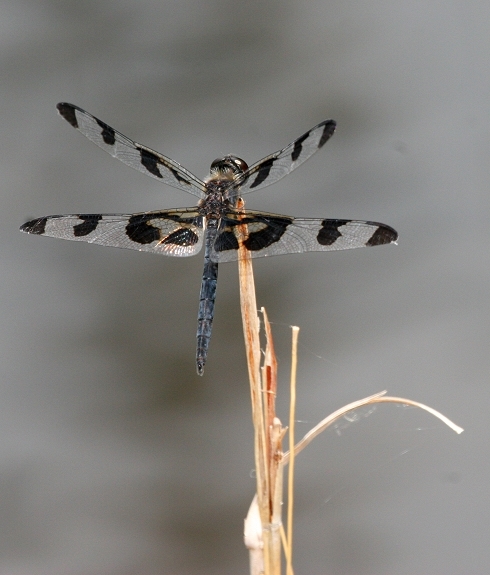 Above: Four-spotted Pennant in "obelisk" position at Phinizy Swamp, Georgia (5/30/2006). 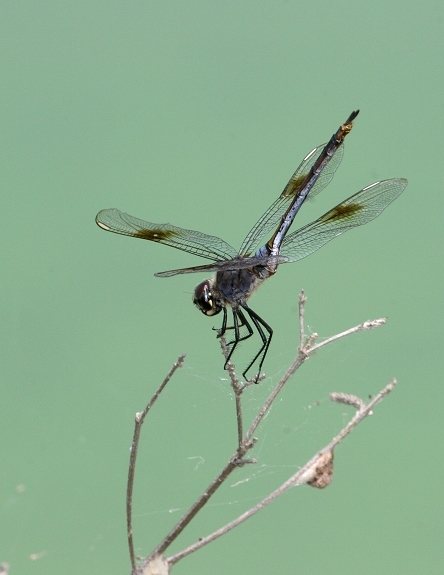 Some dragonflies use this position to lower their body temperature on hot days, raising their abdomens to reduce body surface exposed to the sun. 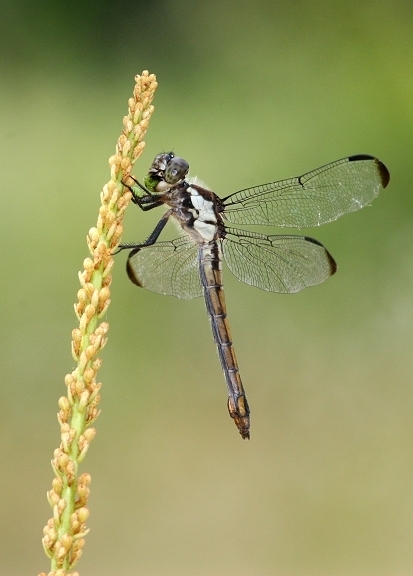 Above: A juvenile Slaty Skimmer at Phinizy Swamp, Georgia (5/30/2006). 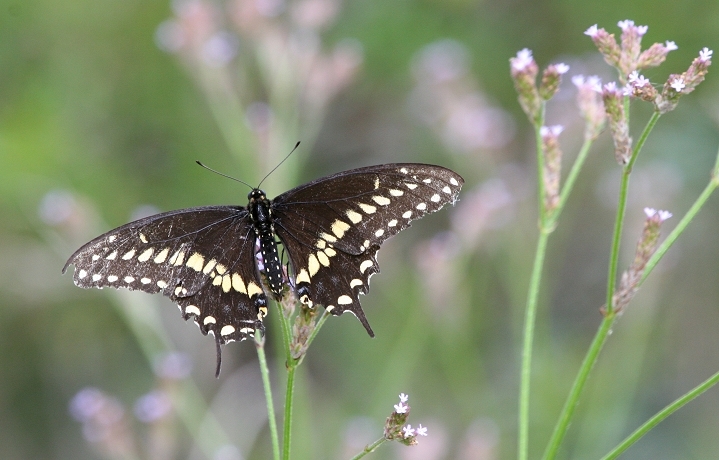 Above: A worn Black Swallowtail at Phinizy Swamp, Georgia (5/30/2006). 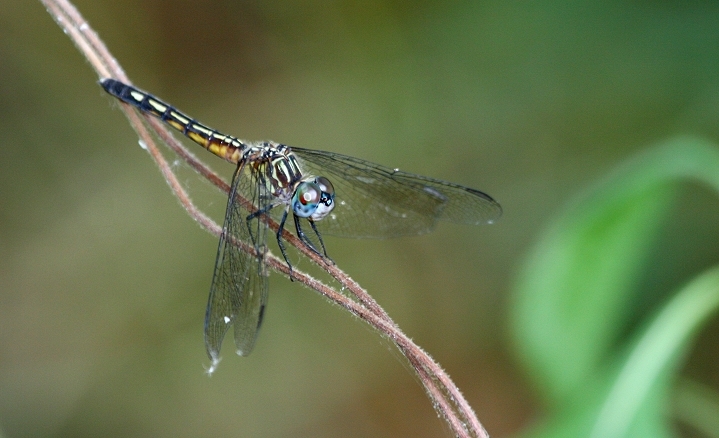 Above: A female Blue Dasher at Phinizy Swamp, Georgia (5/30/2006). 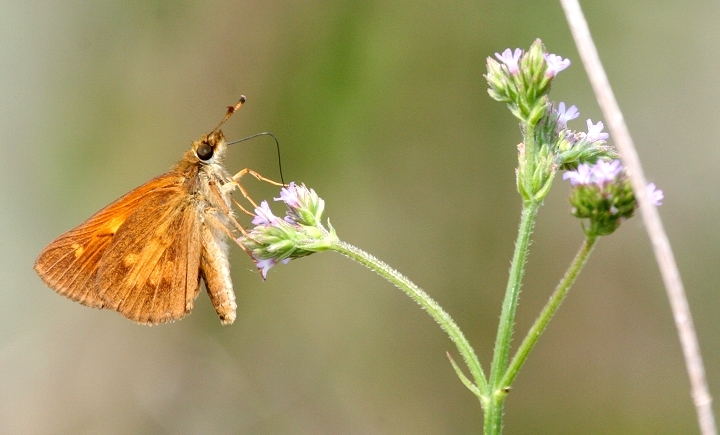 Above: Broad-winged Skippers were common out on the marsh (5/30/2006). 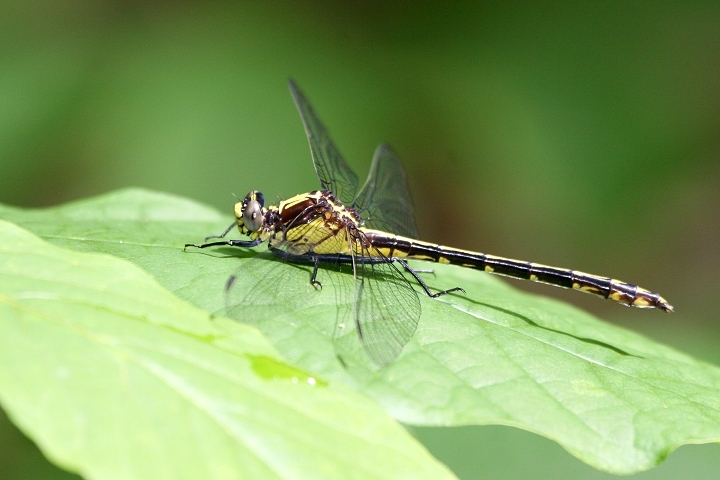 Above: A Banded Pennant near Vaucluse, South Carolina (5/29/2006). 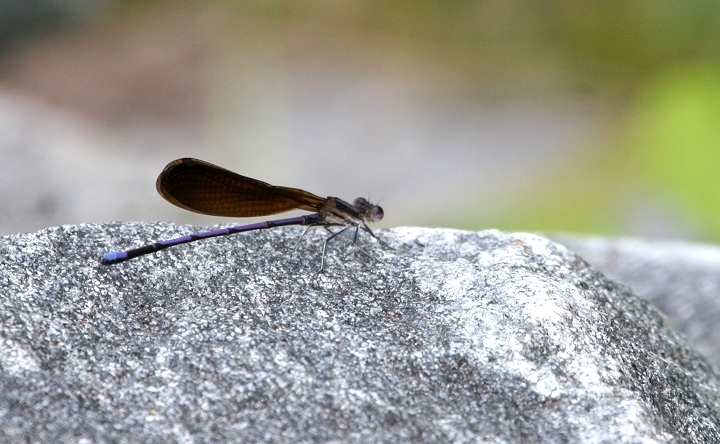 Above: Variable Dancer - a damselfly - near Vaucluse, South Carolina (5/29/2006). 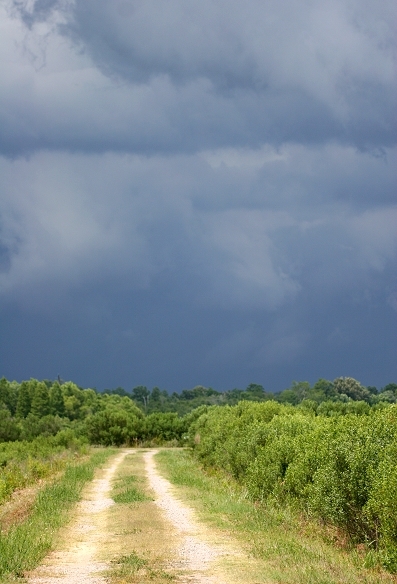 Above: A thunderstorm quickly approaches Phinizy Swamp, Georgia (6/2/2006). 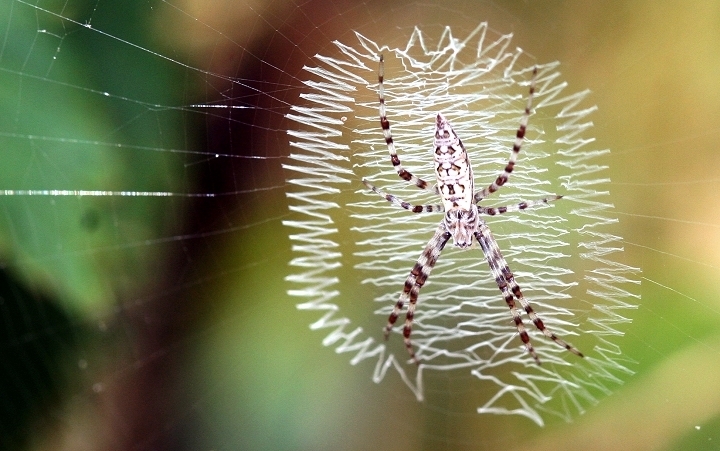 Above: A juvenile Black-and-Yellow Argiope attends its intricate web, Phinizy Swamp, Georgia (6/2/2006). 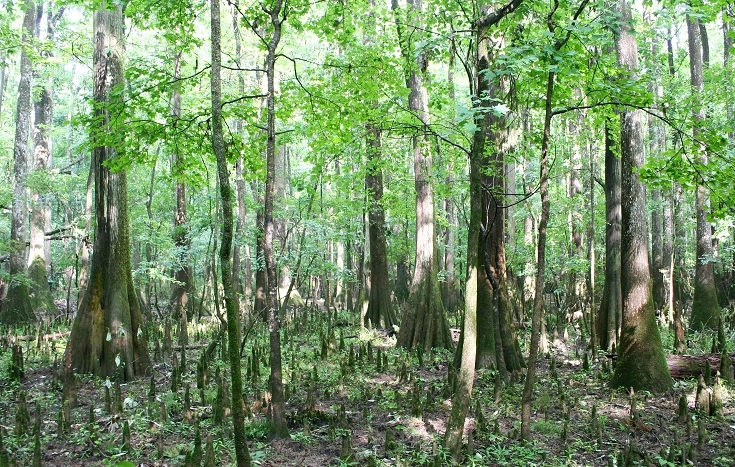 Above: Glimpses of Congaree Swamp, South Carolina, the largest area of old-growth floodplain forest in the U.S. and our newest national park in the East (6/3/2006). 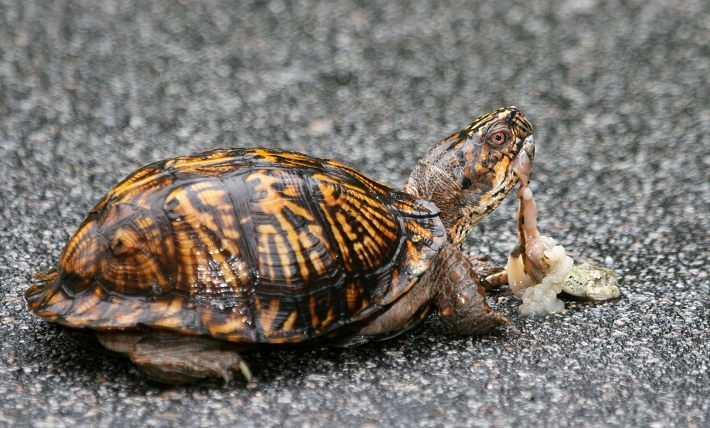 Above: An Eastern Box Turtle scavenges a roadkill frog at dawn on Congaree Swamp, South Carolina (6/3/2006). 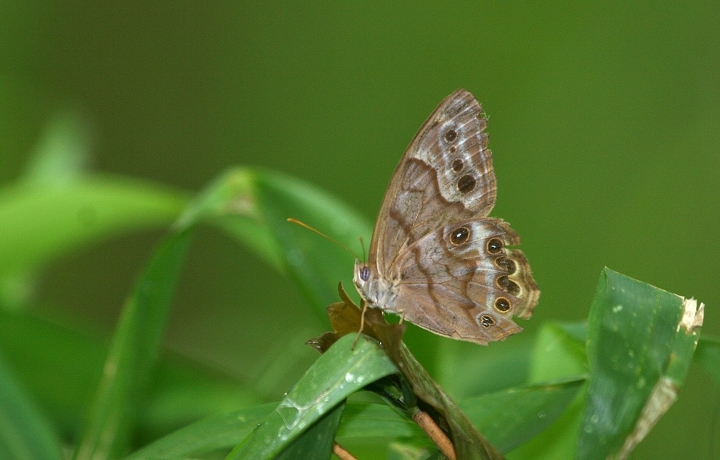 Above: A Southern Pearly-Eye at Congaree Swamp, South Carolina (6/3/2006). 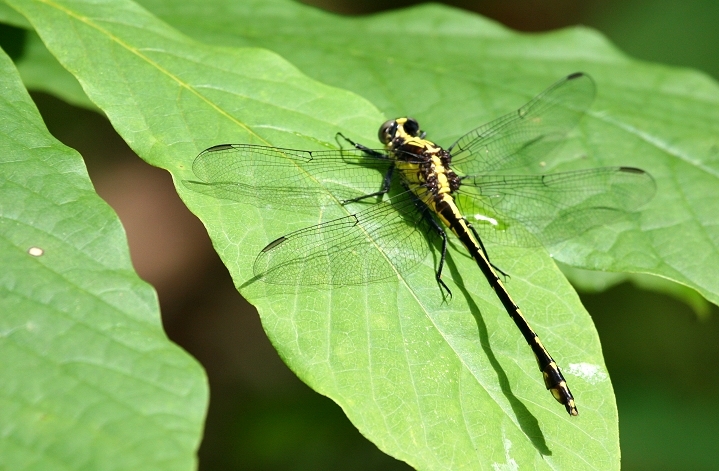 Above and below: A Black-shouldered Spinyleg at Congaree Swamp, South Carolina (6/3/2006). 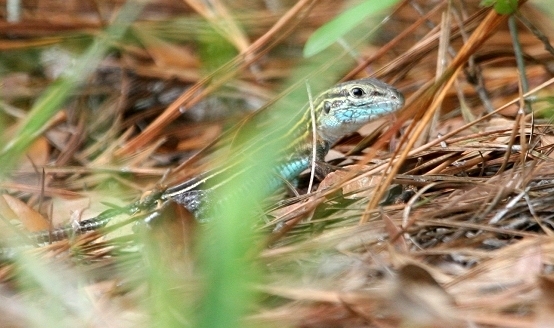 Below: A poor shot of the too-quick Six-lined Racerunner, the first I'd ever seen. 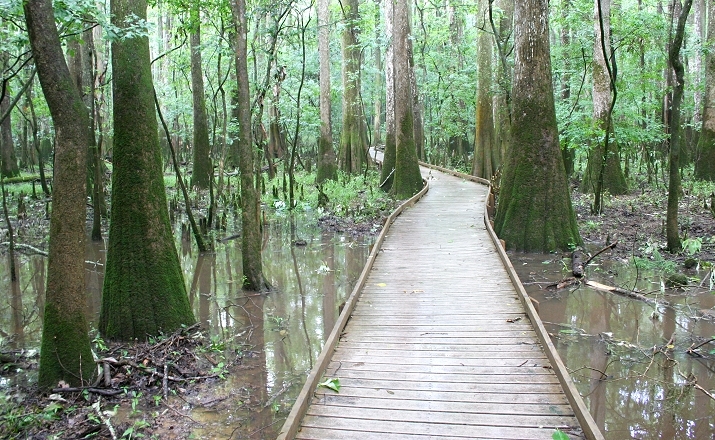 Congaree Swamp, South Carolina (6/3/2006). 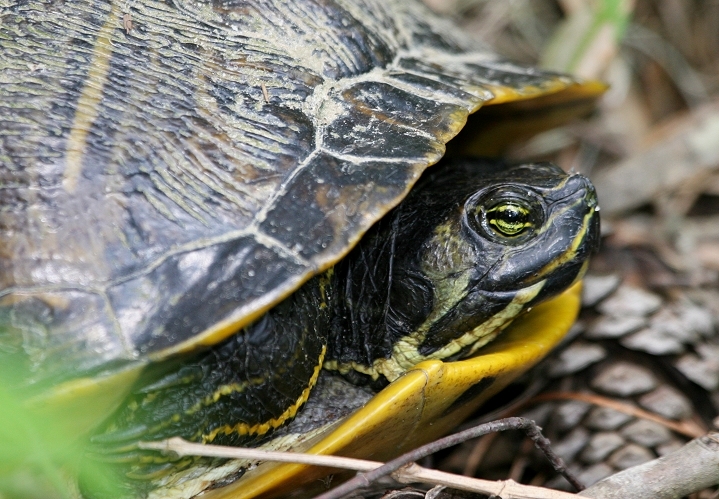 Below: A Yellow-bellied Slider - a subspecies of the Red-eared Slider - at Congaree Swamp, South Carolina (6/3/2006). 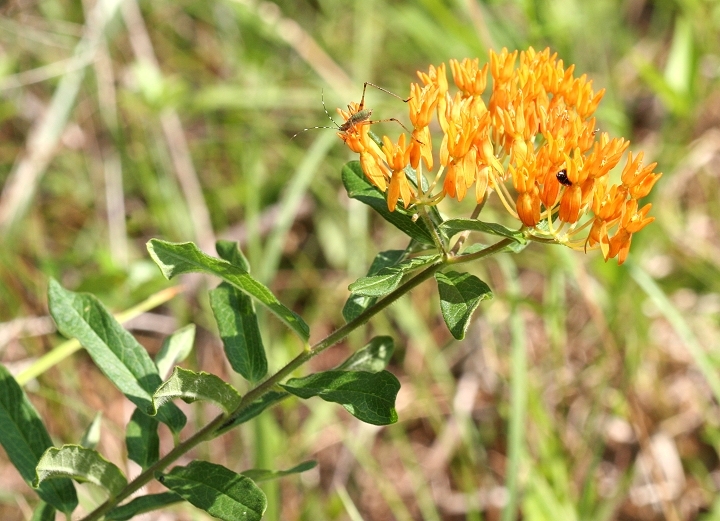 Comments: Other fun sightings: Painted Bunting (Phinizy Swamp, GA), Pine Snake (Fort Gordon, GA), Black Rat Snake (SC), Cottonmouth (SC), Five-lined Skink (SC), Broad-headed Skink (SC), Cope's Gray Treefrog (SC), four Wild Pigs (Congaree, SC).